Good Samaritans will always be needed to succour those who are assaulted and robbed; yet it would be even better to rid the Jerusalem-Jericho road of brigands. Christian philanthropy in terms of relief and aid is necessary, but long-term development is better, and we cannot evade our political responsibility to share in changing the structures that inhibit development. Christians cannot regard with equanimity the injustices that spoil God’s world and demean his creatures. Indeed. It is not enough for Christians to act as Good Samaritans while doing nothing about the evils which cause the suffering they relieve. This is a lesson which many evangelicals, especially in North America, need to learn. I would like to join many other bloggers and writers in offering my final respects to John Stott, who died a few days ago. I was too busy moving house to write anything immediately. But I don’t want to leave his passing unmarked. John will long be remembered for his well balanced Christian wisdom and for his important part in reinvigorating British evangelicalism in the second half of the 20th century. I have nothing else to add to what I wrote only three months ago for his 90th birthday. There is much more to read about him available on the Internet. Tim Chesterton, newly returned from a Lent break from blogging, has reminded the world that today is John Stott’s 90th birthday. Tim gives a moving tribute, including the story of how they met in the Canadian Arctic. I have never met John on a personal level. I think the only time I have heard him speak was at a mission at Cambridge University. But I well remember, and still own, his 1970 book Christ the Controversialist , which, a few years before that mission, played a major part in bringing me from a nominal Christianity to a living faith. Like Tim I disagree with Stott on some issues, but still greatly respect him as one of the major evangelical leaders of the second half of the 20th century. Reuben continues to review "Pierced for Our Transgressions"
Reuben has posted the second part of his review of Pierced for Our Transgressions . I have already discussed the first part of his review. Here I discuss the second and final part of his review. 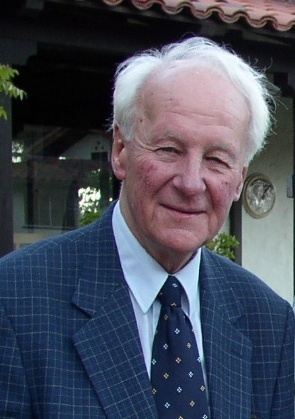 I thank Adrian Warnock for the news that John Stott is to retire at last, at the age of 86. Adrian also clarifies Stott’s position on penal substitutionary atonement. I don’t think I can fully accept this position. But at least this confirmation that Stott’s view of PSA is clearly different from Chalke’s spares Stott from a danger of severe embarrassment: the invitation for his final speaking engagement at Keswick will not be withdrawn because he is perceived as taking a “soft” position on PSA. I greatly appreciate Stott’s ministry, despite our relatively minor differences over PSA and also some different opinions on charismatic issues. It is now over 30 years since Stott’s book Christ the Controversialist (IVP, 1970) played a major part in bringing me from a rather vague Christianity to a committed evangelical faith. The book is still on my bookshelf. Stott will be greatly missed. I wish him a long and happy retirement. Theologians have studied the atonement for centuries, indeed for nearly two millennia, and have put forward a number of different models of it, all or at least most of which are helpful to some extent, but none of which is a complete and adequate description of how God in Jesus dealt with the problem of human sin. So it would be presumptuous of me to put forward anything as a new model of the atonement. More probably what I am saying here is the same as or very similar to what someone else has put forward before. But I am not consciously dependent on anyone else here. And I think the model I am presenting here, while certainly not more complete and adequate than any other model, may help us all to understand the atonement better. Adrian Warnock seems to have scooped the interesting news that Spring Harvest is breaking its partnership with UCCF (the Universities and Colleges Christian Fellowship) and the Keswick Convention because they cannot agree about Steve Chalke and what he wrote about the atonement. Dave Warnock, no relation, seems to consider this totally bad news. But in my first comment on Adrian’s post, I actually welcomed this split. So, what is happening here? Although I don’t always agree with Andreas Köstenberger on gender-related issues, I appreciate what he has to say about singleness, part 1 and part 2. But I don’t appreciate Debbie Maken’s response, preaching that for most people it is wrong to remain single. Unlike either of these two protagonists, but like significant Christian leaders such as John Stott and Mike Pilavachi, leader of the event I just got back from, I am single myself. This is neither from deliberate choice nor from a settled conviction that God has called me to singleness. In fact I rather believe that God has called me to get married at some time. But, from a combination of circumstances and a belief at various times that now was not the right time to look for a partner, this has not yet happened, even though I have now passed 50. A few years ago I was engaged briefly, but it didn’t last. More recently I signed up for a short time with Christian Connection, a dating agency, and made a few friends through it but it didn’t seem right to pursue anything. I continue to struggle with loneliness, as one of the very few singles anywhere near my age in my church or among my friends. And the attitude of the church is not always helpful. But for the moment I also appreciate the freedom from other responsibilities that gives me time to serve God, and to pursue other interests which are mostly related to God’s work. And I continue to trust God to bring the right marriage partner into my life at the right time if that is right, and to continue to provide for me as a single man if that is his better way for me. I have been too busy posting and commenting elsewhere, as well as with real life, to post much on this blog this week. And from tomorrow until Saturday night I am away at a Christian conference, Revival Days which I mentioned in a previous posting. So things may be quiet here until next week – although I would welcome comments, and would not be surprised to receive some on my controversial posting about whether Hindus and Jews can be saved. The discussion of “Did God kill Jesus?” continues on Adrian Warnock’s blog, and there are now more than 100 comments on one posting, including several from myself, and follow-up postings from Adrian. Some people have picked up on my suggestion in the long comment thread that another commenter was not “a theological heavyweight“. I think some people thought I was comparing her with myself, whereas I intended to compare her with teachers like John Stott and Martyn Lloyd-Jones who had been quoted earlier in the discussion. Later in the comment thread I apologised for the misunderstanding. Meanwhile on the Better Bibles Blog I have been posting on an interesting technical issue with the Greek New Testament text. Next week maybe you will hear how my conference went, or however God leads me to post.